· Doctor of Philosophy (Entomology), University of Wisconsin, Madison, Wisconsin USA (1975). · Member, Academic Senate of Institut Pertanian Bogor (2000-2006). · Member, National Pesticide Commission (Komisi Pestisida R.I.), 1994-2005. · Member of the Indonesian Delegation to the United Nation's Intergovernmental Panel on Forests (IPF) IV, New York, 11 - 22 February 1997. 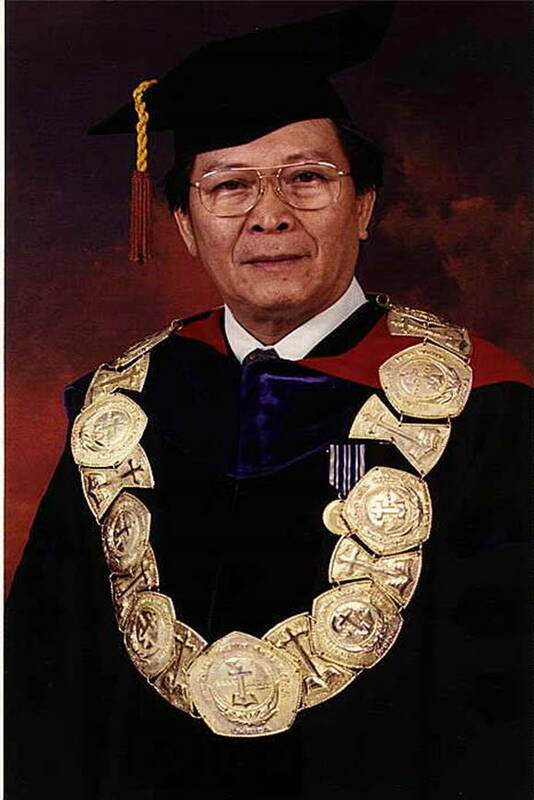 · Rector, Krida Wacana Christian University (UKRIDA), Jakarta, 1991-2000. During 1991-1994 as Adviser in Planning to the Ministry of Forestry, he participated in designing the Second National Forestry Long Term Plan. Since 1966 he has held various positions as project leader, consultant and advisor in numerous tasks and projects within the Indonesian Ministry of Forestry, and the Ministry of Education and Culture in the field of Forest Management, Forest Policy, Forest Protection and Human Resource Development, and University Planning and Development. · Associate Dean IPB-Graduate School since its inception in 1975 through 1978. · Indonesian Project Coordinator for CIDA-DIKTI's Eastern Islands Universities Development Programs (January 1998 - June 1991). · Rector UKRIDA (Krida Wacana Christian University) (June 1991 - June 2000); initiated UKRIDA’s Graduate School in 1999. · Chairman, IPB Board of Professors (Ketua Dewan Guru Besar IPB), April 2004 – January 2006. · Elected member, Indonesian People's Representative Assembly (MPR-RI, 1982-1987), representing the Province of Irian Jaya (Papua). · Management of Forest Products Deterioration – 2000 (ISBN 979-8396-10-3).